Jimmy Kimmel might be the high power entertainment at this year's White House Correspondent's Dinner Saturday night but don't write off the president's comedy material just yet. We are told by a senior administration official a White House brainpower trust including the President’s head speechwriter Jon Favreau, David Axelrod, and speechwriter David Litt are hard at work. 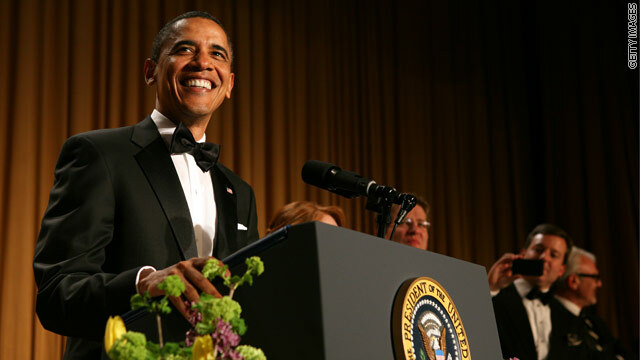 Presidents have typically had some funny zingers prepared for their remarks for this annual dinner with the press that covers the White House. And it appears the fun is already starting. An official told us on background that when he wasn’t busy power lunching at Spago and ducking the paparazzi, former White House speechwriter turned LA heartthrob Jon Lovett has been offering suggestions – the offensive kind. Can’t wait to see if those make it into the final draft! 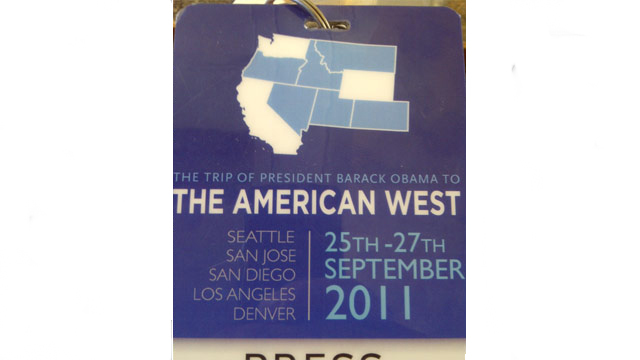 Looks like someone in the White House press office needs to brush up on his or her U.S. geography. Wyoming is highlighted, not Colorado. To be fair, both states are rectangular, nearly identical in size, and stacked next to each other. But we doubt our third grade teachers would buy that! Tonight will mark the end of an era. Well sort of. This evening when President Obama addresses the nation and announces his troop withdrawal plan for Afghanistan, a commercial news photographer will be quietly snapping photos in the room. Up until tonight the “stills” have routinely snapped photos of the president after he delivered his address as he re-enacted it for them. The re-enactment was done to keep the noise from the camera clicks from interfering with the TV audio and the movement of the photographers from distracting the president as he gives his address. 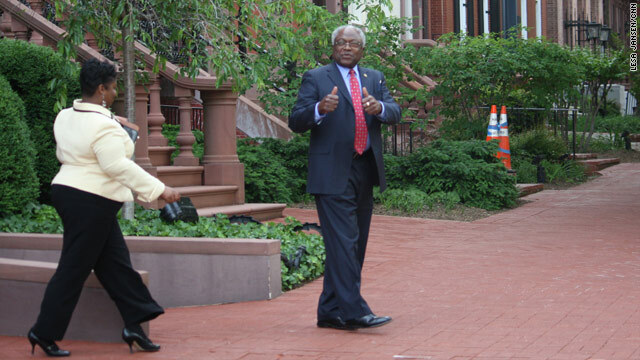 Rep. James Clyburn (D) SC characterizes Thursday's bi-partisan congressional meeting on raising the debt ceiling. WASHINGTON (CNN) - He gave it a "two thumbs up." No that's not the latest take on the newest summer movie release. This is Washington, a land where reporters try to read the tea leaves and politicians try their darndest to prevent us from doing so. The reviewer in question is Rep. James Clyburn (D) SC and one member of a bi-partisan congressional group lead by Vice President Joe Biden tasked with somehow hammering out a compromise that would allow Congress to vote to raise this nation's borrowing limit. The deadline: this summer or the United States could default on some of its loans. Republicans Rep. Eric Cantor (R) VA and Sen. Jon Kyl (R) AZ left smiling. They answered no questions but they waved. Hmmm. But it was Vice President Joe Biden, never one to shy away from a microphone, who came over to reporters to dissect the two hour meeting. "Nothing is agreed to until everything is agreed to," he said solemnly adding, "[W]hat we agreed to is tentative." He did repeat the mantra of the Democrats, "[E]verything is on the table." But he also gave a glimpse inside the negotiations including that yes tax revenues, the bane of Republicans and long-term Medicare costs, something Democrats dismiss are all being discussed. The bottom line from the vice president: "It is premature to be optimistic but I am clearly not pessimistic." Oh and no more meetings until the week after next since the House is on break next week back in their home districts. 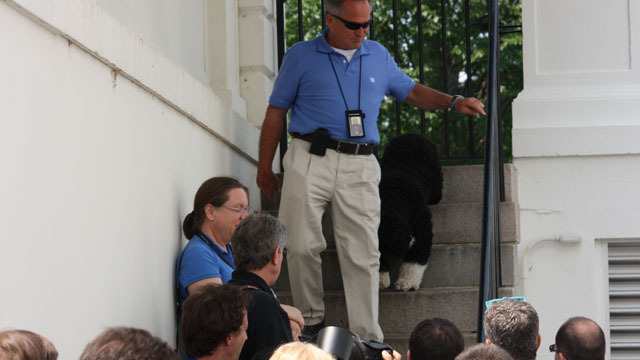 (WASHINGTON) CNN- Our CNN photojournalists who staff the White House everyday are indeed jacks-of-all-trades! 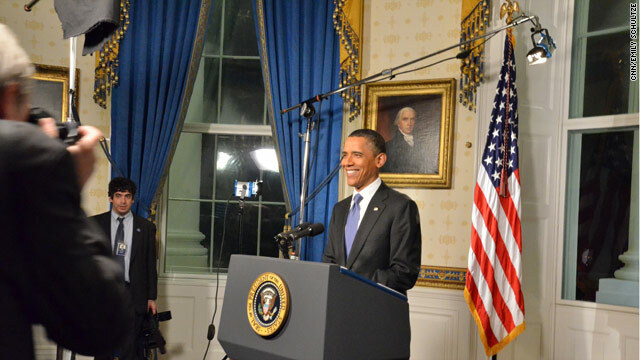 March was CNN’s turn as “pool” for television lighting duties at the White House. Each month the five networks rotate this duty which includes handling lighting for the White House briefings, photo ops or any other “events” planned on the White House grounds. It’s hard work and long hours. 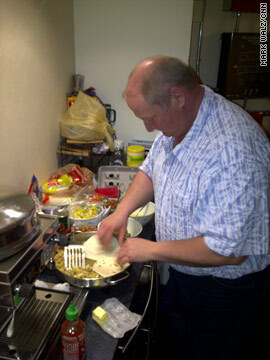 As CNN’s lighting duties ended March 31, our own lighting expert photojournalist Dave Jenkins celebrated his freedom by cooking up a gourmet breakfast his colleagues in the White House press lunch room. Bon appetit! WASHINGTON (CNN)– It’s not as if he returned from vacation and the locks on his office were changed. Or is it? President Obama Wednesday returned to the White House after a five day Latin American trip only to find the doors to the Oval office suite locked! Check out this amusing video. 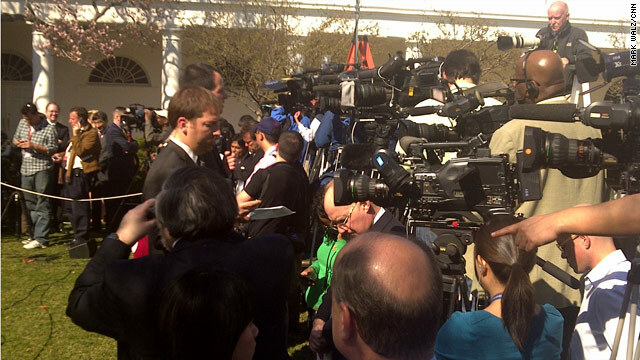 WASHINGTON (CNN) - Members of the White House Press Corps wait for President Obama to come to the Rose Garden to give a statement on Japan. With today's warmer weather, it was the first time this season an event has taken place in the Rose Garden. WASHINGTON (CNN) - It was 1:40 pm, January 22, 2009, when White House spokesman Robert Gibbs first stepped behind the podium in the James S. Brady briefing room to begin a two year joust with the press corps. He wasn’t a stranger. After all he’d been by the newly elected president’s side since Obama’s early run for the U.S. Senate. But Gibbs was about to roll out a blunt, sarcastic and evasive style that would both entertain and frustrate reporters. He danced deftly with phrases like “I shouldn’t get ahead of the president,” “I don’t want to prejudge,” and “I’m not a lawyer” (or any other expertise he was using to dodge a question). 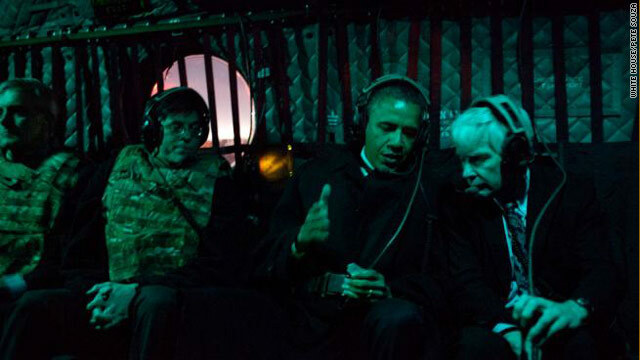 All the while Gibbs enjoyed a powerful seat right next to the president’s ear.